Growing indoors has many benefits and now you can grow your favorite plants inside your home all year round and much easier with our CO² monitor controllers that we offer at Plug ‘N’ Grow™ Controllers. Growing indoors allows you to decide how you would like to ensure your plants flourish. In however manner you decide to grow your vegetation, you’ll have some great results when you purchase the right equipment for your growing endeavors. By incorporating the perfect concoction of nutrients and the right equipment, you can cultivate plants that are vital and healthy. The secret is integrating the right combination of nutrients and grow equipment, so you’re able to have a garden that’s lush and developed. If you’re interested in CO2 monitor controllers so your vegetation is nurtured, then you can find a selection of resources that will help you find the perfect instrument for your indoor garden at Plug ‘N’ Grow™ Controllers. If you’re new to growing indoors, then you may not know everything you need to about CO2 monitor controls. CO2 monitor controls are best for those who want to grow plants in an effective manner either in soil or without it. A CO2 monitor controller will do exactly what it sounds like: It will monitor the CO2 in your indoor garden. CO2 is something that you’ll need when you’re growing plants regardless if it’s in or outdoors. CO2 is incredibly important for your plants, even though we’re unable to actually see or smell it. CO2, as you probably know, is an odorless, non-flammable type of gas that’s safe for humans as long as it’s in the maximum concentration for plant growth. However, if there is too much CO2 in your home, then it can make you feel woozy due to replacing the oxygen in your residence. This can be very bad, which is why a CO2 monitor controller is essential to ensure you’re getting the right amount of CO2 for your plants while sustaining a healthy environment for you. CO2 is good for plants because it will help with harvesting the seedlings and give them the nutrients to ensure they blossom. With a CO2 monitor controller, you’ll be able to monitor the carbon dioxide in the room, protect your plants from overheating, set the right temperatures for your plants, and more. You will notice the difference with your plants when your garden is increased exponentially with a CO2 monitor controller. Our products are reliable, simple to use, and you’ll be able to benefit from the fruits of your labor with our monitor controllers. All you need to do is to purchase the correct equipment to ensure you are able to grow what you’d like in your indoor garden. As an indoor gardener, you know it’s important that you purchase equipment to give you the resources you want to produce plants that are developed and plentiful. Below you’ll find an assortment of our monitors to ensure you’re able to control the CO2 in your room. Each device will offer you something different, but they are all easy to use and dependable tools. CO² controller with display and day/night detection easy to install and set up. The PNG-060 comes with a high temperature shut-off to protect your plants from overheating: C02 enrichment is stopped when the temperature set point is reached. The iGS-061 is CO² controller with display and day/night detection easy to install and set up. Known for its reliability and easy setup options. 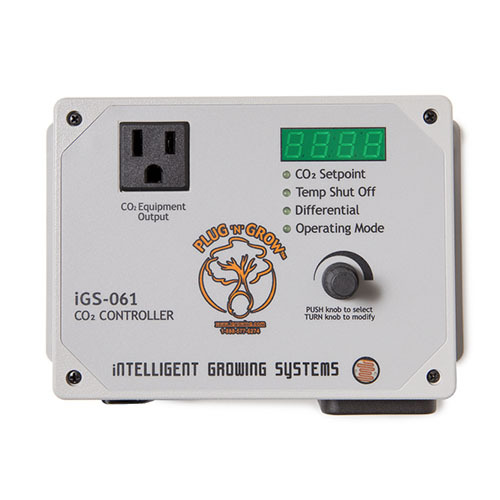 The iGS-061 comes with a high temperature shut-off to protect your plants from overheating: C0² enrichment is stopped when the temperature set point is reached. It provides useful operating information by displaying error messages, counseling and alarm condition. 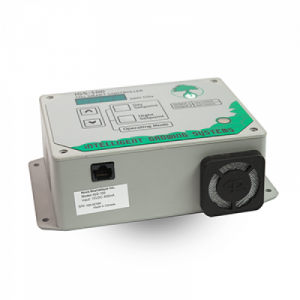 The iG-100 is an easy to use CO2 enrichment or CO2 ventilation controller with day/night detection. The auxiliary output can shut-off or turn on another device (such as fan) while CO2 process is going on. The iGS- 100 is a smart device that analyzes your equipment performance and allows you to optimize your configuration to ensure higher growth rates. 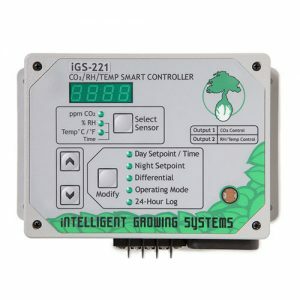 Sophisticated controller for experienced growers, the iGS-220 can increase yields and quality of harvest and energy savings. No more need to coordinate many controllers together, the iGS-220 prioritizes actions according to a logical sequence, avoiding contradictory actions. Smart self-adjustment of operation differential keep conditions closest to set points. 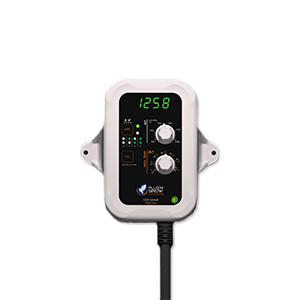 The iGS-220 is a smart device that provides you with information on the performance of your equipment allowing you to optimize your configuration. 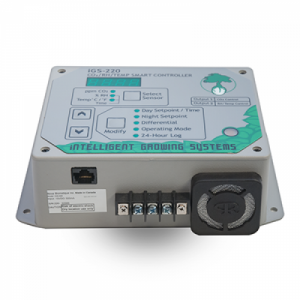 The iGS-221 integrated controller is the simplest and most complete solution for integrated climate management and CO2 enrichment or venting. It simultaneously controls the temperature, humidity and CO2 concentration. The iGS-221 prioritizes actions according to a logical sequence, avoiding contradictory actions. Intelligently manages simultaneously six actions: CO2 enrichment, venting, humidifying, dehumidifying, heating and cooling. Ready to use, just adjust your set points!